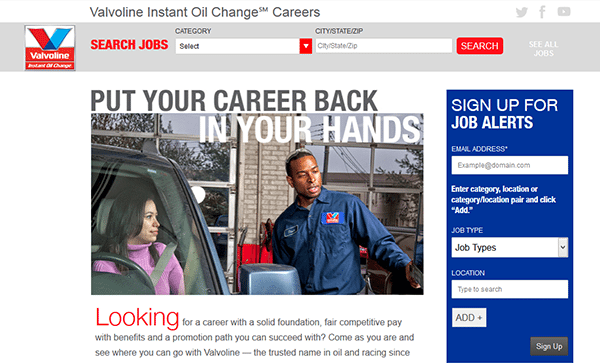 Use the how-to guide posted below to learn more about the online job search process and how to fill out/submit a Valvoline Instant Oil Change job application. Several different career types can be searched and applied for on the company’s employment website including corporate, hourly/retail, and service technician positions. 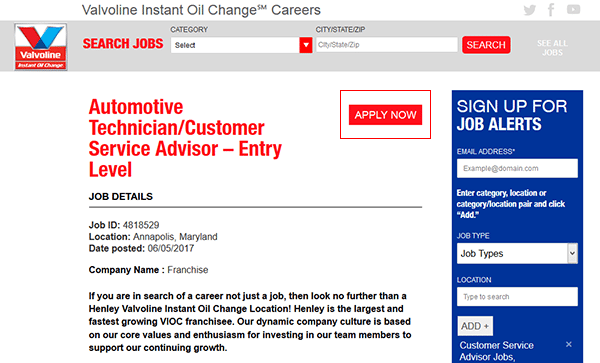 About the Company: Valvoline Instant Oil Change is an American chain of preventative maintenance shops. The company is owned/operated by Ashland Inc. (a Fortune 500 company based out of Covington, Kentucky). Step 1 – Click here to open the company’s main employment website. Step 2 – Click one of the links/buttons as outlined in the below screenshot (e.g. if you want to apply for a retail career click the “Explore VIOC” button). Note: This guide details the online job search/hiring process for retail positions. Step 3 – Select a category from the drop-down list and then enter a city/state/zip into the input field. Click the “Search” button to view the results. 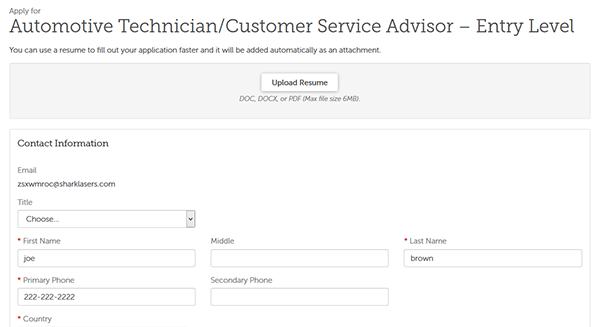 Step 5 – Press the job title of the position that you want to submit an application for. Step 6 – Review the job description and then press the button/link as shown in the below image. 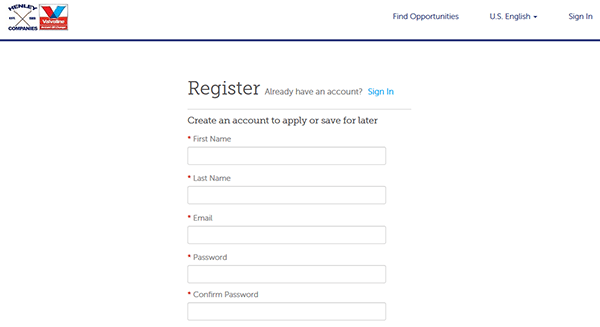 Step 8 – Press the “Register” button to go to the next step of the process.